How do I activate my Strategyzer license? – Have a question? Find the answer here. If you have been sent a license for a project subscription for our app, online course, facilitated online course, Value Proposition Design companion or workshop materials, this guide will help you claim your license and add it to your account. Note: If you were expecting a license but did not receive an activation email, you may need to check the spam folder of your email account (the email will come from accounts@strategyzer.com), otherwise email support@strategyzer.com to get help activating your license. 1. To claim your license, click the activation link in your email. 2. 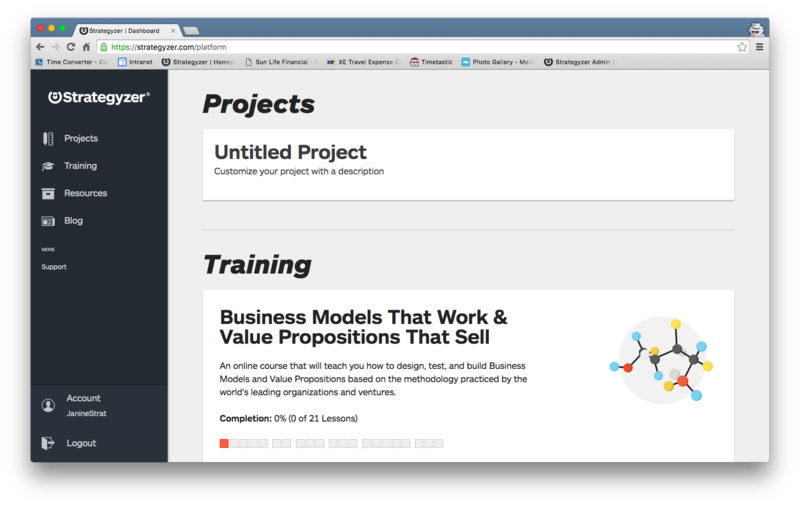 Next, you should be taken to the license landing page on the Strategyzer website. If you are an existing Strategyzer user, log into your account by clicking "Log In". If you are a new user, you need to register for an account by clicking "Sign Up". Note: Existing users who are already logged in when they click the activation link, will have the option to apply the license to their current account. If for any reason who need to apply the license to another account, you will need to log out and sign in with that other account from the landing page. 3. After logging in to your existing account or signing up for a new account you will be taken to your Strategyzer dashboard and should see your product ready for use. If not, email support@strategyzer.com to get help activating your license. One of the most common reasons is that you already activated your license and accidentally logged into/created a different account. 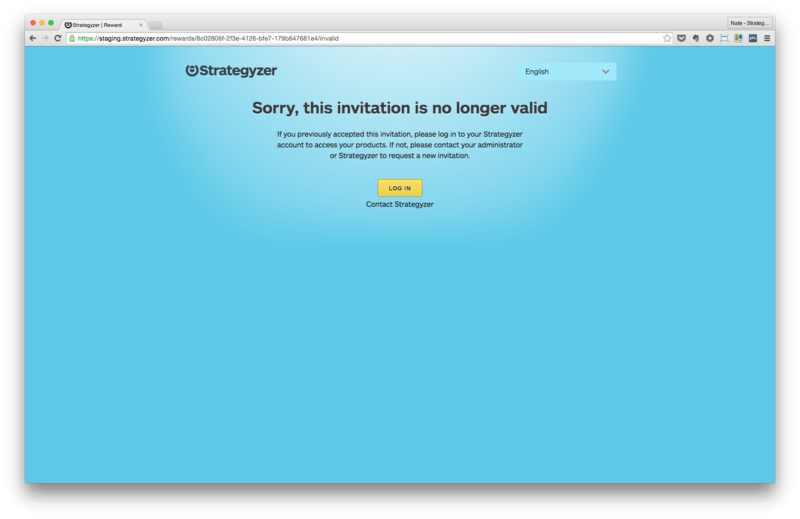 If this is the case, you need to log into Strategyzer with the correct credentials. However if that is not the case, you will need to contact your administrator to request a new activation link. If you are unsure who to contact in your organization or at Strategyzer, email support@strategyzer.com to get help activating your license.